Hulu Desktop Integration does actually what it sounds like it does. 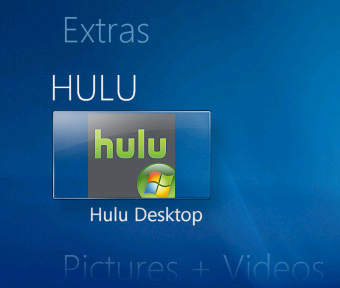 It adds Hulu to the Windows Media Center menu. You have to have Hulu Desktop installed then you run the Hulu Desktop integration. It doesn’t work with extenders but it’s still nice to have Hulu in Media Center. Hulu is also easy to navigate with the media center remote.